Last year, I shared with you Foreign Language Friends a valuable online resource for Spanish-speaking familias and Spanish-learners. And since we've been talking about young children in preschool and kindergarten, I realized that this site would be another great tool for supplementing their education. 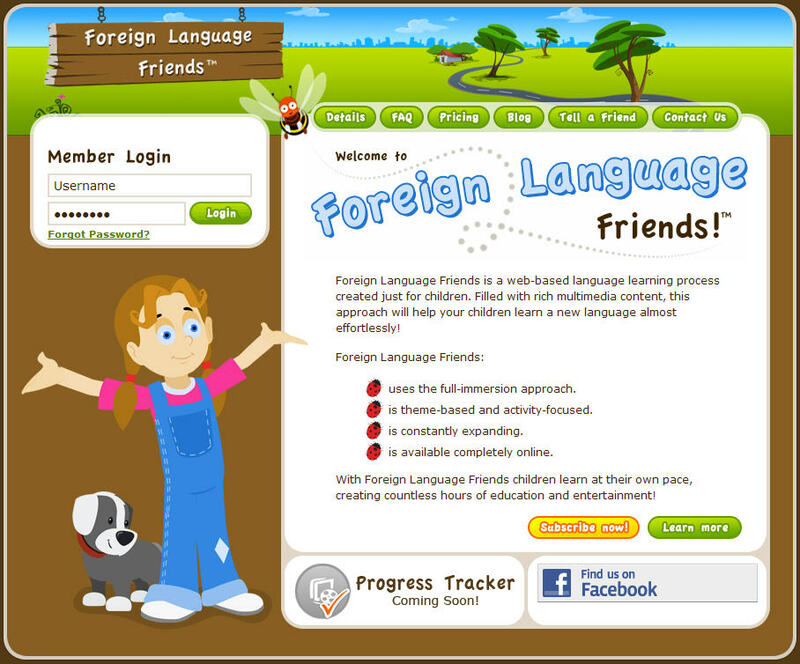 The site is theme-based, and covers topics such as colors, shapes, numbers, body parts, transportation, and many more. Each theme is then covered in greater detail with seven activities including a vocabulary builder, matching game, Spanish-only animation, sing-along, a unique game, spelling, and printable activities/worksheets. 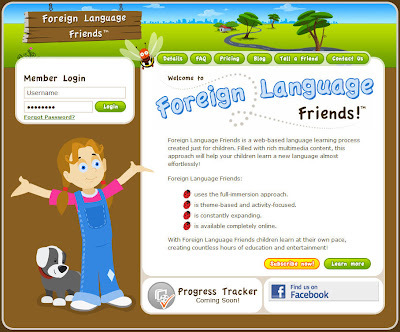 Older children who are learning Spanish will delight in this interactive site as well. You can also use it to supplement your Spanish-speaking child's spelling lessons. Read more about the site in the review that I shared last December. A subscription to the site is $9 a month, but MommyMaestra readers can enjoy an additional 25% discount if they use the promo code: LATINBABY. This plan allows up to three computers to be logged in at the same time, and allows your family access to the site 24/7. All plans come with a seven-day, free trial. To enter this giveaway, simply leave a comment below. The deadline to enter is 11:59 EST, Wednesday, August 31st, 2011. The winner will be chosen using Random.org. and contacted via email - so be sure to leave a valid email address (or some other way to contact you) in your comment! Open to everyone, anywhere, with internet access. Disclosure: FLF was kind enough to offer this free subscription upon my request. I love the product because my kids loved it when FLF offered me a review subscription last year. awww Man I missed this!!! Best wishes to the the winner and thanks for the post! Catching up on my reading around here this week, el site se mira muy bíen! I also tweeted about the giveaway, and followed mommy maestra and foreign language friends on FB. It looks like a great site! Thanks for hosting the giveaway! Sounds like a great site that my kids and I would enjoy. We are still doing basic Spanish (they are 6 & 7). We enjoy it and have fun while we learn. I'd love to win. I teach French at the preschool my son went to and I'd love to add Spanish and learn some myself! My daughter wants to learn Spanish! I follow Mommy Maestra on Facebook. I follow Foreign Language Friends on Facebook. This sounds like a wonderful learning tool for my whole family! Great site for a spanish homeschooler like me! I fallow both on facebook! thank you!